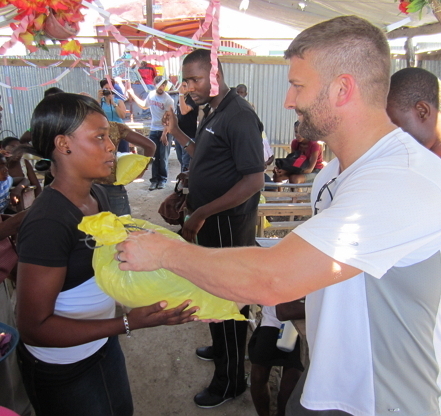 Is it not to share your food with the hungry? 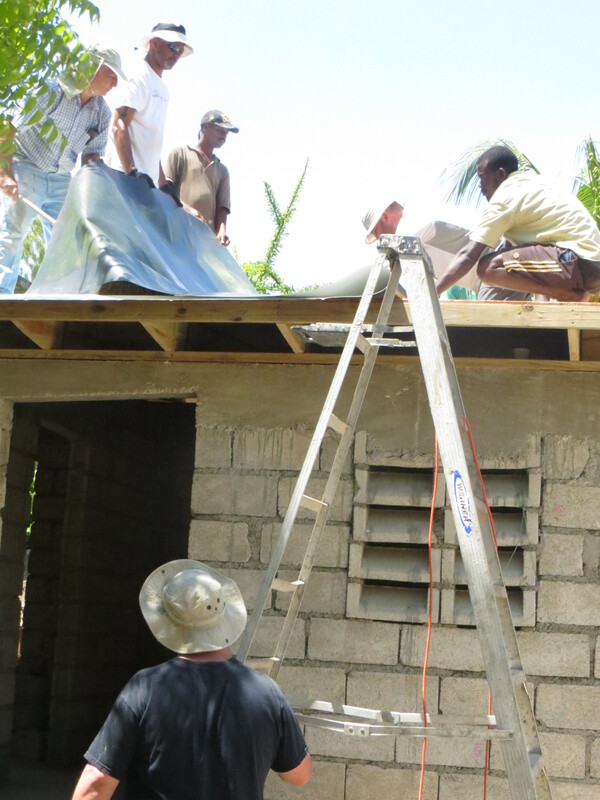 and if you spend yourselves on behalf of the hungry and satisfy the needs of the oppressed, then your light will rise in the darkness, and your night will become like the noonday. 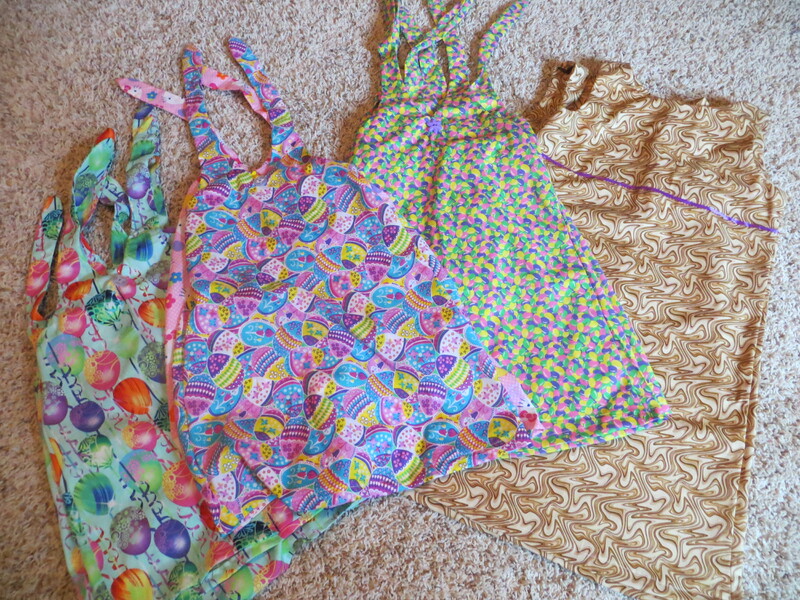 Eleven completed dresses and counting. 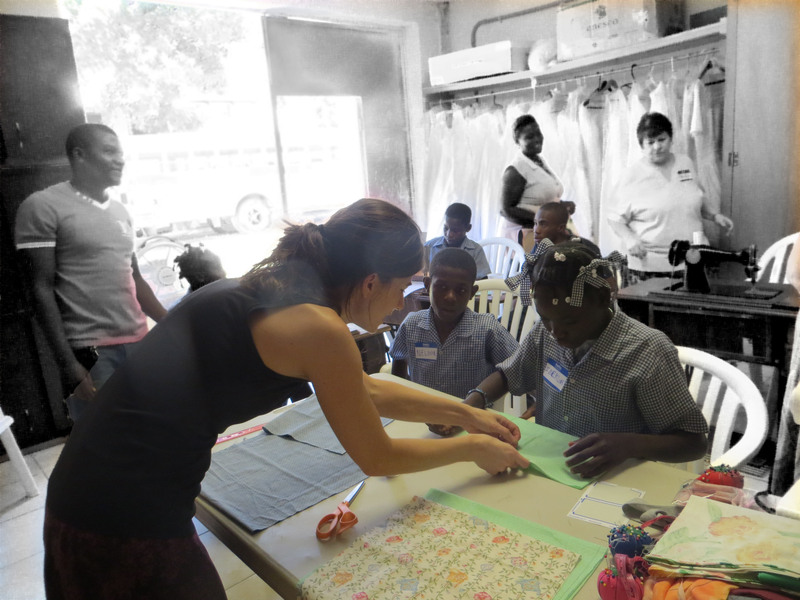 Our Sunday School class has been using our class time during the month of May to make dresses and shorts assembly line style. Every now and then you are in a place and realize you are exactly where God wants you to be. That place is the best place in the world. These David Crowder lyrics describe it perfectly. 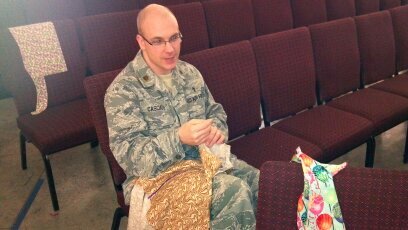 I bet this is the first time you’ve seen a Military Chaplain with a needle and thread. 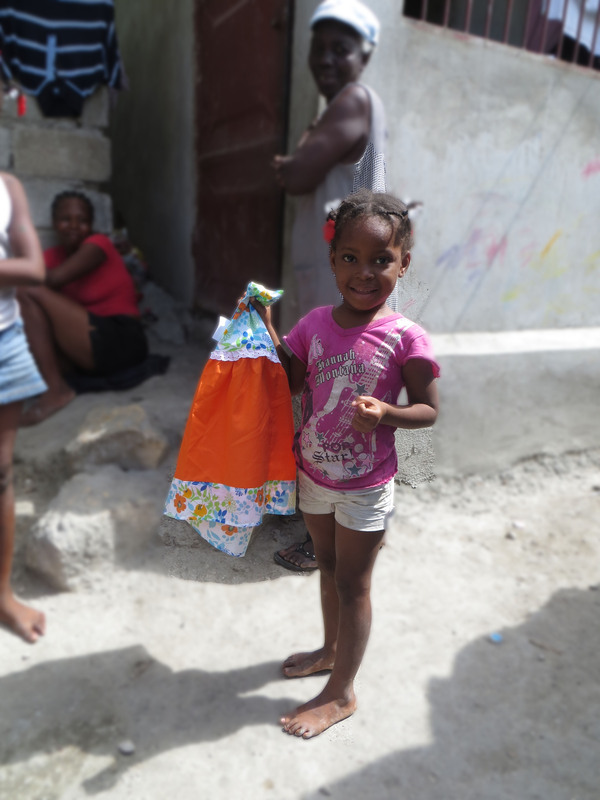 🙂 Thanks to Gabe and several other guys (and ladies) from our Sunday School class, we’ve got about twenty new dresses and shorts in the works. I have a confession. I am 37 years old and just finished reading the Little House on the Prairie Series for the first time ever. It’s tragic. I know. But that’s not what this post is about. It’s about this picture that I found on page 242 of These Happy Golden Years. That, my friends, is a treadle sewing machine. In 1880s they were a pretty big deal. 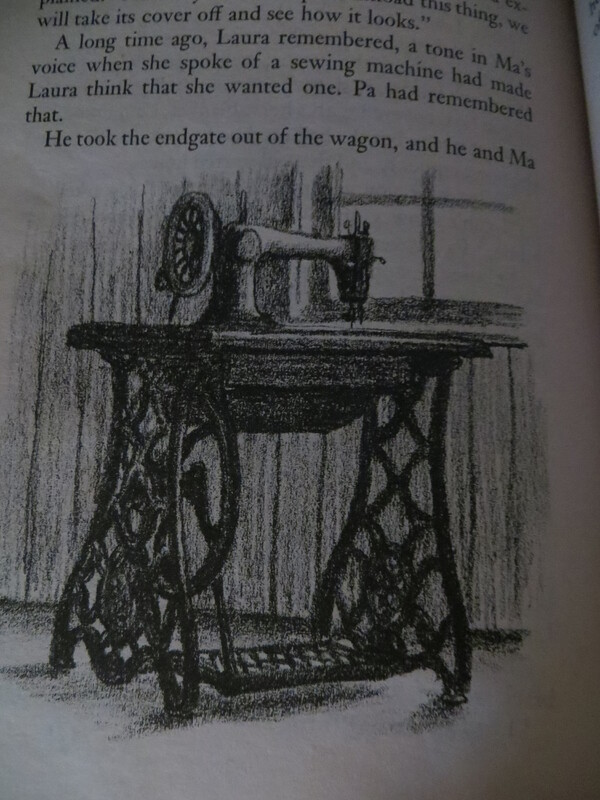 When I was growing up in the 1980s, my mom had my great-grandma’s treadle setting out in our living room as part of the décor. I certainly didn’t think I’d ever have a reason to use one. But we all know it isn’t always important to God what we think. What’s important to him is that we just do his will with what he provides. 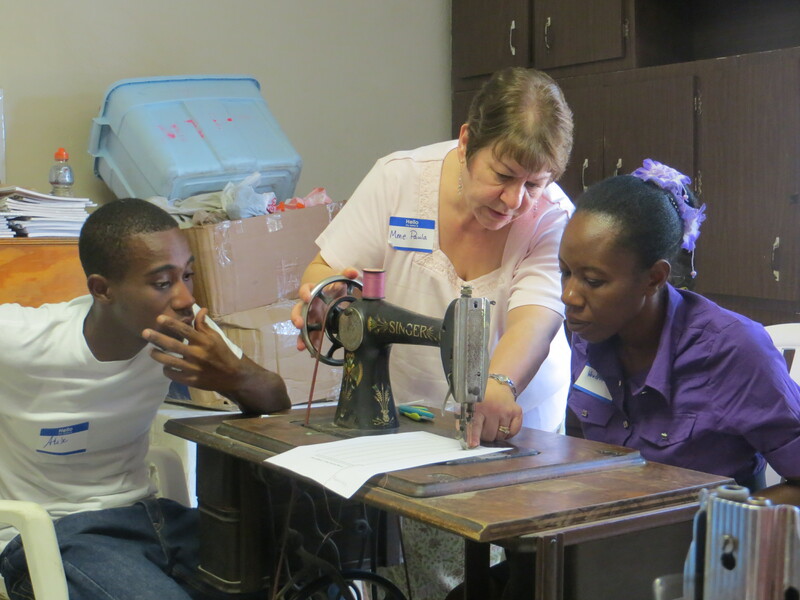 The night before we started sewing classes, I was determined to figure out the treadle machine. It was a hard fought battle, but I lost decidely. 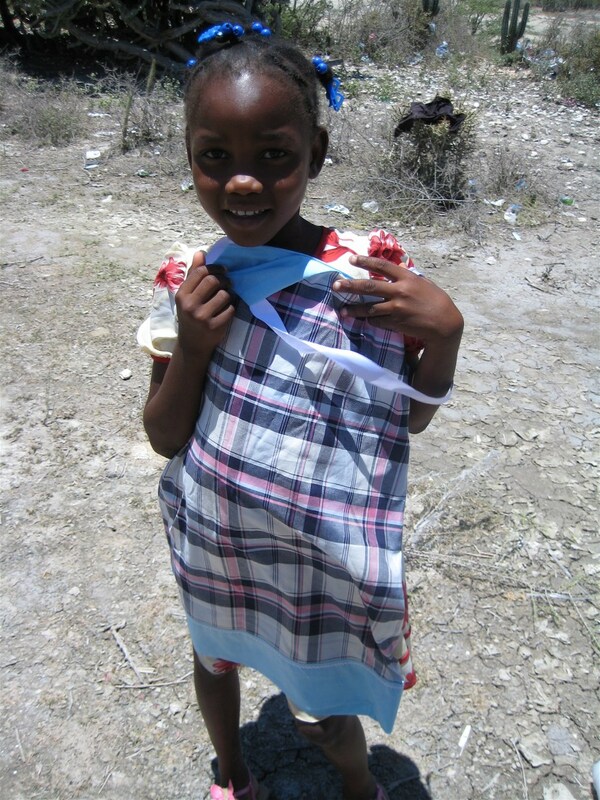 Seriously, Brunel (a Haitian tailor) made it look so simple, but I could only get it to go backwards. Every now and then I would succeed in several inches of forward stitches and about the time I’d start feeling proud of myself, I’d be heading backward again. 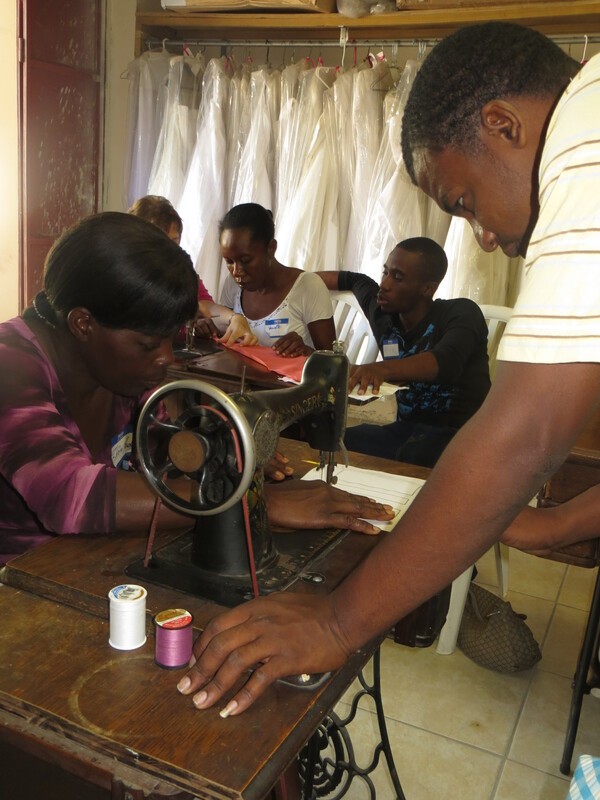 There is a definite rhythm involved in sewing on a treadle, and I was not blessed with the gift of rhythm. I’m pretty confident that Brunel spent half of that evening trying not to laugh and the other half wondering how in the world I would be able to teach Haitian women anything. I went to bed that night a little stressed out about my failure in Treadle Machine Sewing 101. But Paula, (who is one of the kindest people in the world) encouraged me that I was not alone, and I realized the next day that because I knew how it was supposed to work, I could still teach it. I knew how to thread the machine. I knew what the hands were supposed to do. I knew what the feet were supposed to do. I could explain everything through our super-awesome interpreters. I just couldn’t do it myself. And you know what? It was a great week. 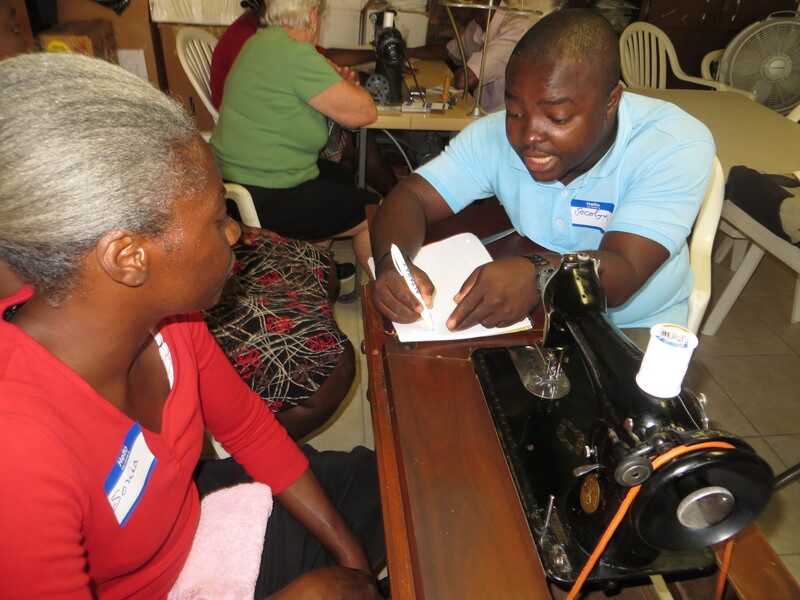 I spent more time with the ladies doing hand-sewing and cutting out patterns than I did working on them with the treadle machines, but I think each of us ladies would consider the classes a success.